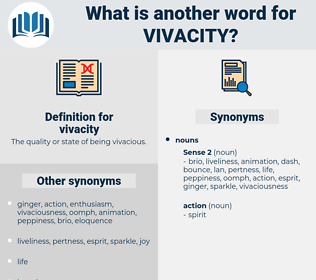 What is another word for vivacity? 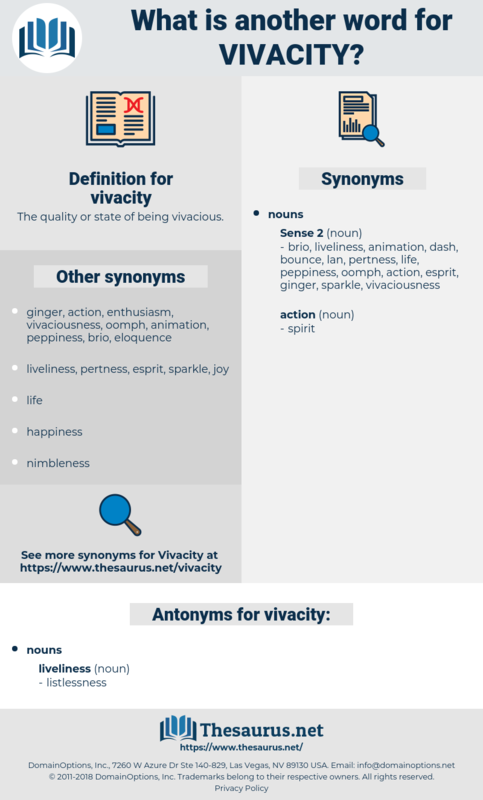 The quality or state of being vivacious. Even the greatest artists of these centuries, Dante and Chaucer, at least started with this method, and at the very end of the fifteenth century William Dunbar in Scotland still used it with grace and vivacity. The vivacity and vigorous life which produced the rapid flow of Sheridan's eloquence led him into the dissipation which made him end his days in a spunging - house.